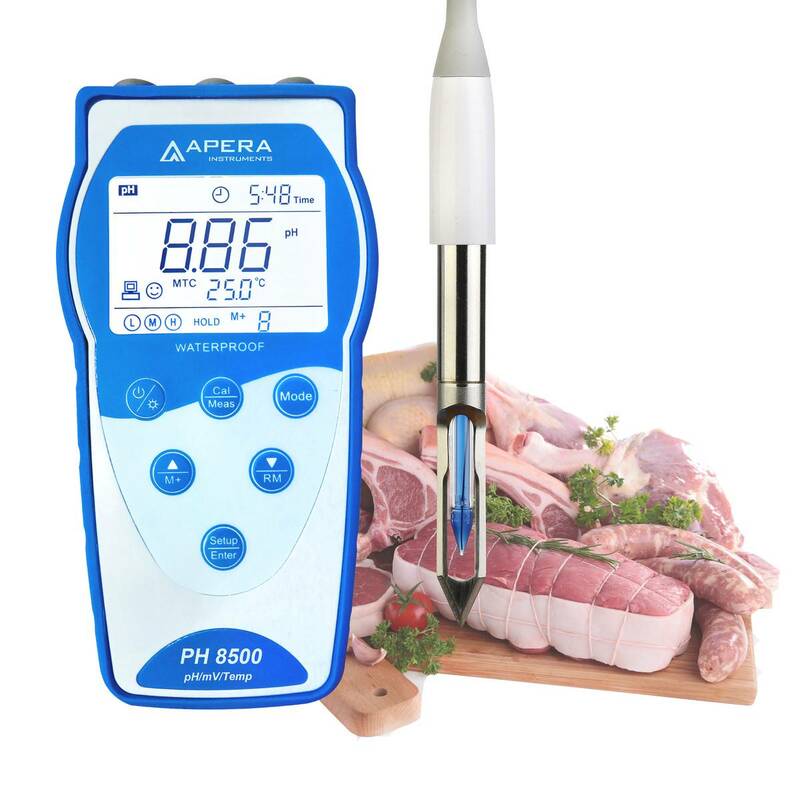 The Apera Instruments PH8500-BS Portable Meat pH Meter is a food grade pH meter/tester with specially and professionally designed food grade electrode, and it is an outstanding combination of the advanced digital processing technology, software design, and electrochemical sensor technology, specially designed for the pH measurement of meat, meat products, fish, or beef. Its LabSen spear electrode adopts durable food-grade stainless steel sheath, a solid electrolyte, and a long-life reference electrode, making the probe hard to be contaminated and maintenance-free. 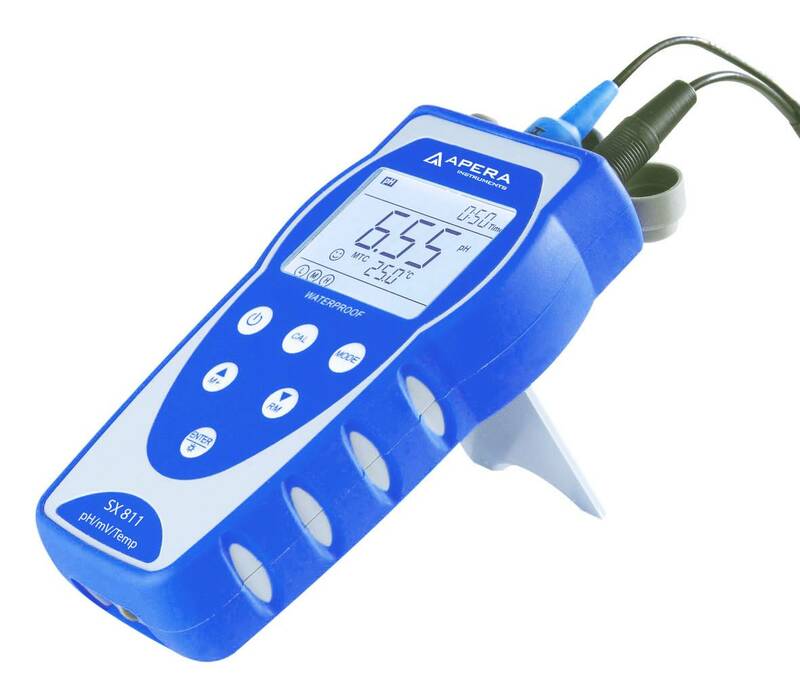 The Apera Instruments PH8500-BS Portable Meat pH Meter, a pH meter for food and meat products, has a ±0.01 pH accuracy in a range of -2.00-19.99 pH., with 0-100°C Automatic Temperature Compensation (ATC), Auto Calibration with auto recognition of up to 12 kinds of buffer solutions, and supports stable reading/auto-hold display mode. The meter's digital filter technology improves response time and accuracy. Intelligent Functions: Smart Self Diagnosis of out-of-range measurement, incorrect calibration, and electrode invalidation warning. Other functions include calibration reminders, calibration date checking, easy parameter setting. Data Processing: GLP standard data management, 500 data sets of storage, manual/auto timing storage, USB charging and data output, data protection in case of power outage. Reliable Structure Design: White backlit large LCD, the foldable stand allows use as a benchtop meter, soft silicone case gives you a good grip, connector protection cap, IP57 waterproof, battery and/or USB power supply. 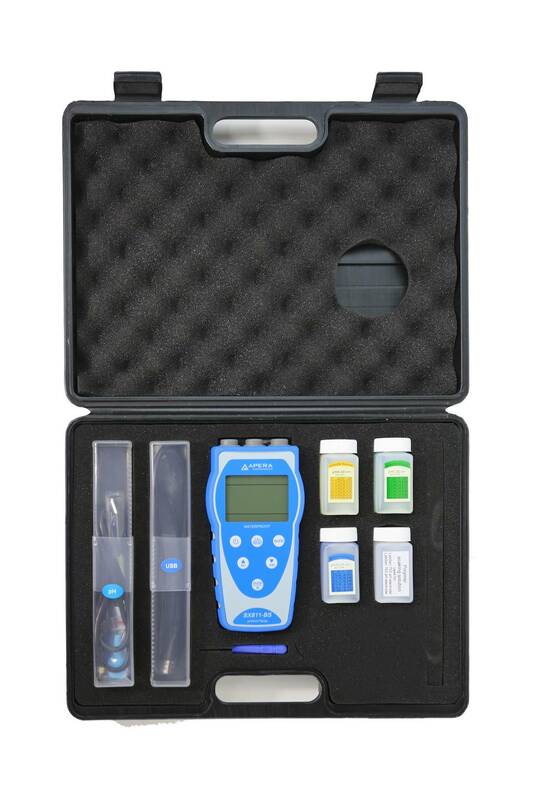 The meter is CE certified and comes with a 2-year warranty (6-month for the probe).